Resolution Media and Publishing – the company behind Aycliffe Today’s sister publications Tees Business and Tees Life – has appointed former Trinity Mirror regional managing director Bob Cuffe as a non-executive director. 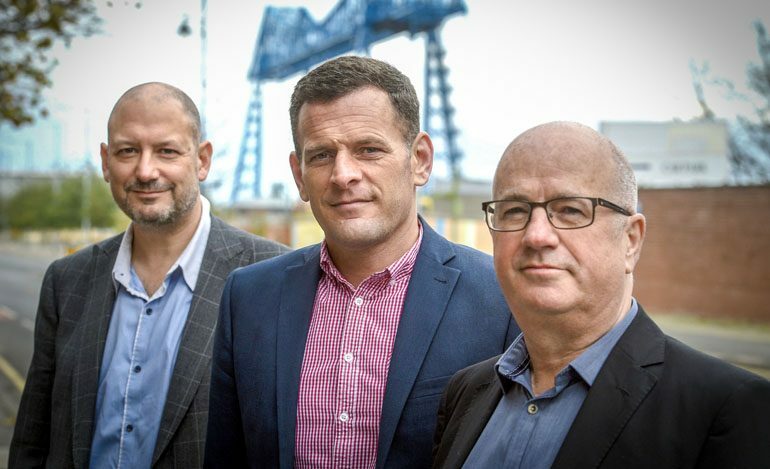 The move is designed to help Resolution, which is run by ex-Middlesbrough FC colleagues Martin Walker (above, centre) and Dave Allan (above, left), to build on existing publications while rolling out new projects. Cuffe has more than 30 years’ experience in publishing, working from advertising representative at the Teesside Gazette to managing director of the Gazette and regional managing director at Trinity Mirror North East. He’s now working for a small number of local firms in similar consultancy roles, including Darlington Building Society (as vice chair), Jacksons Law and Recognition PR. “I’m delighted to be joining Dave, Martin and the team,” he said. 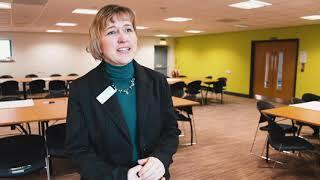 “Their achievements since launch have been outstanding, the Tees Businesswomen Awards being a great example. Middlesbrough-based Resolution – named after Captain Cook’s HMS Resolution – was launched in early 2017 after the success of their pilot publication, Tees Business. Now with two established quarterly publications, they’re printing an annual 3.4million pages of news and features covering the Tees region, and also successfully launched the Tees Businesswomen Awards this year – the first awards event to recognise the region’s businesswomen. Resolution’s printing work supports Tees firm MV Print and its 22 employees, while they also support a pool of more than 10 local freelance photographers, writers and KINSHIP, a local design agency. But the ambitious company plans to create full-time posts to support future growth plans. Allan, who also owns Middlesbrough-based DNA PR and Publicity, added: “We’re delighted to have brought Bob on board during this exciting time for the company. Allan spent 10 years working in the internal communications structure of petrochemicals giant ICI and then 17 years leading Middlesbrough FC’s PR strategy throughout a period that took in five major cup finals, two UEFA Cup runs and a multitude of superstar signings. Walker, who trained as a journalist with the Gazette, worked in Allan’s media team at Boro from 2000 to 2005 and then spent four years in Sunderland AFC’s PR team before starting his own business. He launched aycliffetoday.co.uk seven years ago before launching the associated Aycliffe Today Business publication in November 2012. The Tees Business team will soon be working on the first issue of 2019 – and Aycliffe businesses have an opportunity to market to their exclusive 20,000+ B2B audience from just £275. Tees Business is published quarterly, with a 6,000 circulation across the Tees region covering Darlington, Stockton, Middlesbrough, Redcar and Cleveland, Billingham, Yarm, Wynyard, Hartlepool, Sedgefield, and Stokesley. Tees Business also publish the region’s only website dedicated to business news from the Tees Valley region, as well as a weekly e-news to 1,400 subscribers. Ads are priced from £275 (quarter page), while advertorials or ads are priced £435 (half page), £695 (full page) or £1,175 (double page spreads).